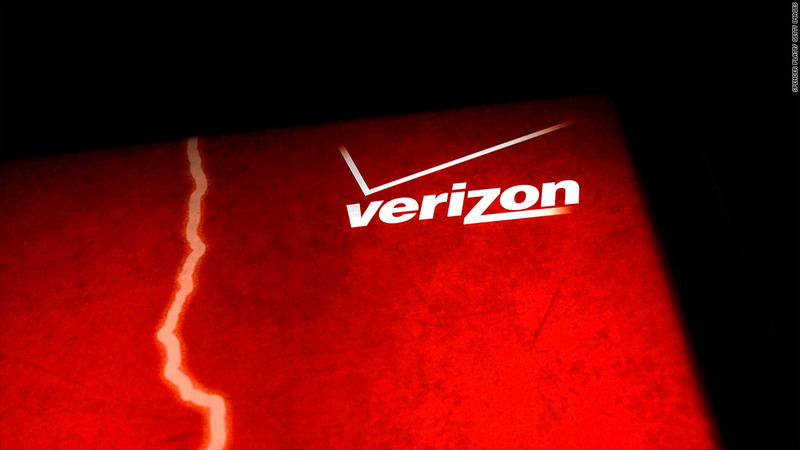 Verizon brought the case in which a court ruled against the FCC's net neutrality rules. A federal appeals court has struck down Federal Communications Commission rules that prohibit Internet service providers (ISPs) from restricting access to legal Web content. The ruling is the latest development in the long-running battle over net neutrality -- the principle that all sites on the Internet be equally accessible. Net neutrality advocates want to preserve the Web's status quo, in which providers such as Verizon (VZ) and Time Warner Cable (TWC) can't auction off priority traffic rights to one site over another, or impose tolls for high-bandwidth sites such as video streamers Netflix (NFLX) and Hulu. The FCC adopted the regulations at issue in 2010, imposing so-called "Open Internet" rules that barred ISPs from blocking or "unreasonably discriminating" against Web content. Those regulations were challenged in 2011 by Verizon, which claimed the move overstepped the commission's legal authority. The D.C. Circuit Court of Appeals ruled in Verizon's favor Tuesday. The court said that because the FCC had previously placed broadband Internet service in a separate regulatory category from phone service, it lacked the legal justification to impose the Open Internet rules. But the ruling did affirm the FCC's authority in principle to regulate broadband Internet service, leaving open the possibility for the commission to rewrite its rules within a new legal framework. FCC Chairman Thomas Wheeler said in a statement Tuesday that the commission "will consider all available options, including those for appeal, to ensure that these networks on which the Internet depends continue to provide a free and open platform for innovation and expression." Broadband provider Comcast (CMCSA) said Tuesday that it supported the FCC's Open Internet rules, and would continue to abide by them for at least six more years regardless of how they are judged in the court system. "Comcast has consistently supported the Commission's Open Internet Order as an appropriate balance of protection of consumer interests while not interfering with companies' network management and engineering decisions," the company said. Verizon, meanwhile, claimed Tuesday's ruling "will not change consumers' ability to access and use the Internet as they do now." But net neutrality supporters warned that the decision could indeed open the way for ISPs like Verizon to compromise Web access. "[T]he biggest broadband providers will race to turn the open and vibrant Web into something that looks like cable TV," Craig Aaron, president of the advocacy group Free Press, said in a statement. "They'll establish fast lanes for the few giant companies that can afford to pay exorbitant tolls and reserve the slow lanes for everyone else." Michael Copps, a former FCC commissioner who is now an adviser to the advocacy group Common Cause, urged the commission to reclassify broadband Internet service for regulatory purposes to preserve the Open Internet rules. "The Court's decision today is poised to end the free, open and uncensored Internet that we have come to rely on," Copps said in a statement. "Without prompt corrective action by the Commission to reclassify broadband, this awful ruling will serve as a sorry memorial to the corporate abrogation of free speech."